The 11 Best Wine Bars in Oklahoma! Novelist Robert Louis Stevenson said, “Wine is bottled poetry.” Never has this been truer than at a wine bar. 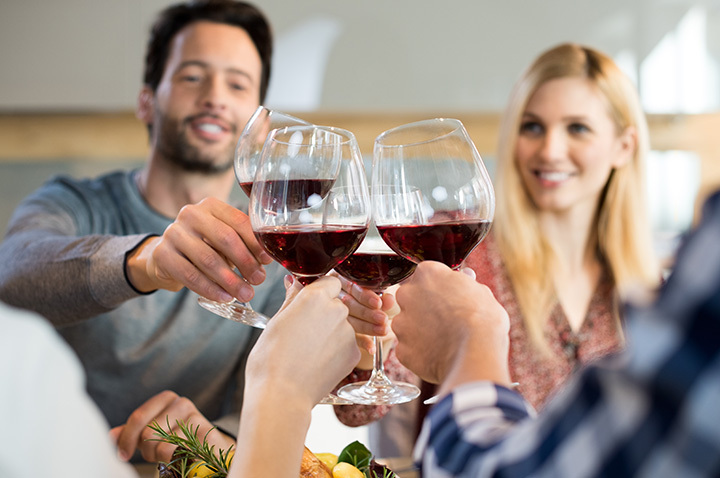 Not only do you get to sip on acclaimed wines from across the globe among friends, but often, you get to learn about the wines you’re drinking. Oklahoma is home to some classic and cool wine bars, all offering a varied selection. Don’t be afraid to talk to the sommelier to get some more info about what you’re drinking! Here are the 10 best wine bars in the state. Zannotti’s is a quaint little place where you can enjoy a glass of wine and listen to music in the evening. They have a nice hors d’oeuvres menu if you’re a bit peckish. Ask about their tasting room if you are planning an event where you want to serve wine with your food. This gourmet restaurant in Bricktown has a large selection of wines to go with its upscale menu. It’s been honored by Cornell University as part of the Cross-Country Gourmet Extravaganza. For over 28 years, this wine bar has been a great place to sample world class wines. Currently, the menu features 400-plus wines to go along with its French-inspired cuisine. Pair your steak with a glass of wine or just enjoy a glass of the vino before you head home. This full-service bar and restaurant is run by fourth-generation Oklahomans who love the state. Sip a glass of wine when you come out to Michelangelo’s for Open Mic nights. The restaurant features 16 eclectic wines and a full breakfast, lunch and dinner menu. Save room for one of their gourmet chocolates too. Gatsby bills itself as a modern-day speakeasy with the classic drinks of the 1920s and a unique ambience. Enjoy a party any evening when you come out to join the fun. The French Hen is owned and operated by an Arkansas-native who went to school in Tulsa and stayed in Oklahoma to provide fine dining for Tulsans. The wine list is extensive. The food is top-notch. The Wine Loft features more than 200 wines and a gourmet tapas menu. Each of the wines available by the glass are also available in a wine flight, which lets you try out new varieties and expand your knowledge. They also have a bistro menu if you want something more than appetizers. Fleming’s is close to downtown and the BOK Convention Center, making it accessible for when you want a night out. It features over 100 wines by the glass to pair with your dinner. The Carrot Cake is one of the best around, if you’ve still got room for dessert. The atmosphere might be casual, but don’t wear sleeveless shirts or ball caps when you come out for a glass of wine at Chianti Wine Bar. Watch their Facebook page for special tasting events to learn more about different types of wines and liquor. PaneVino was supposed to be a wine store, but Oklahoma laws pertaining to the sale of wine and alcohol are odd. The owners determined that a wine bar would be the next best thing. It boasts an extensive wine list, and the food is high quality. It’s one of the best places to get great wines in north-central Oklahoma.